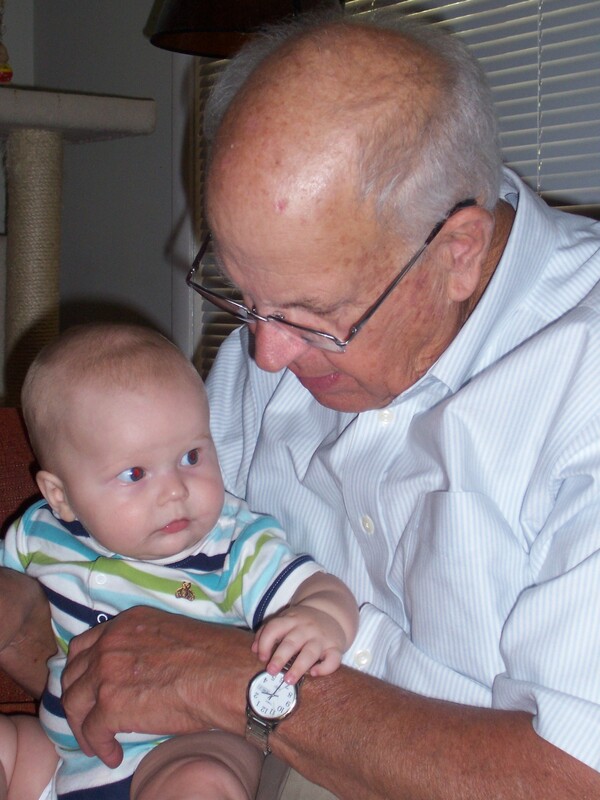 Grandson, 6-month-old Nolan Thomas Behel, learns about watches from his great-grandpa, Ray Wood. This entry was posted in family and tagged babies, family by Coffee with Cathy. Bookmark the permalink.